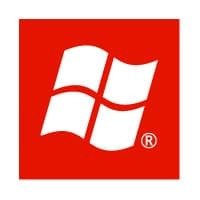 John Skovron, group program manager for Windows Phone 8, showed off the capabilities of the software giant’s new NFC-enabled wallet at the NFC World Congress last week and explained how the technology could help Microsoft gain mobile phone market share. NFC’s ability to make connections and transfer information between mobile phones running Windows Phone 8 and PCs, laptops and tablets running Windows 8 will help build adoption of Microsoft’s phone operating system, Microsoft’s John Skovron has revealed in a keynote presentation at the NFC World Congress in Nice. Skovron demonstrated a number of features of WP8’s NFC capabilities during his keynote, including peer-to-peer sharing, which Microsoft is calling “Tap+Send”. “We’re not using the word ‘NFC’ all that much,” Skovron explained. He then set his Windows Phone 8 device to play music and placed it on top of a Nokia Play 360° wireless speaker. Placing the phone on the Play 360° automatically switched the speaker on and caused it to begin playing the music. Skovron also took a photo of the audience with his phone, picked the NFC sharing option and then transferred the image to a second WP8 phone using NFC to pair the two devices and Bluetooth to transfer the image data. “NFC is an introducing technology,” he explained, before also showing how NFC P2P mode could be used to share a Tic Tac Toe app between two WP8 phones. Moving on to WP8’s mobile wallet, Skovron explained that the devices will include both NFC and a wallet application and that both have their separate uses. Secure payments is where the two overlap and, he said, if there is a focus on the non-overlapping parts then the overlap areas will then come later. 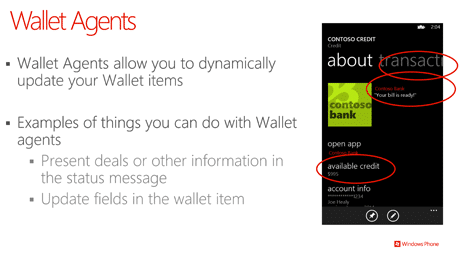 The WP8 wallet is a “hub”, like the hubs WP8 will have for both people and images to make it easier for users to keep track of their contacts and their photos. The wallet can contain membership, loyalty and payment cards as well as deals, offers, tickets and passes. The wallet has its own PIN and cards that can be used with the wallet will be called “Fast Cards”. Users will be able to choose whether a particular card can be used only for mcommerce payments or for NFC payments or for both and can select whether cards will always be available or only when the wallet is active. Adding a new card will also prompt the user about other services from the card issuer by suggesting, for instance, that they download the issuer’s app as well as the card. The wallet’s deals options are also integrated with Bing search so that users can both store and find deals — Bing will highlight places with deals in search results. A key feature of the wallet will also be the use of “Wallet Agents”. These allow developers to dynamically update wallet items and can be used to show the available balance on a particular card on the main wallet screen or to highlight a special offer or deal. 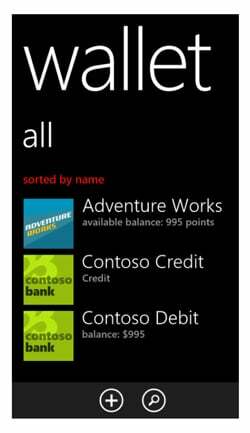 The Windows Phone 8 SDK, which is “coming soon”, will explain clearly how to take advantage of wallet agents and the other features of the WP8 wallet, says Skovron. The first NFC mobile wallet service is due to be run by Orange in France and Microsoft is also working with other business partners. Neat graphic! Apple Passbook exemplifies wallet without nfc; Samsung Galaxy Note has nfc to beam files between phones, so it would represent the left. 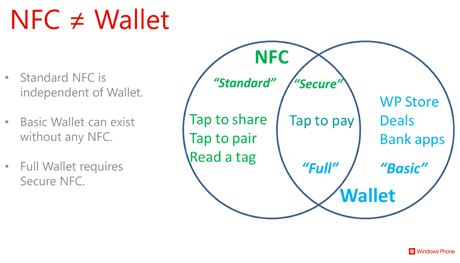 Google is working on the intersection of nfc and wallet, so it is nice Microsoft represents another entry into the nfc wallet category!